Bennett Trenchless provides a full range of trenchless design services including geotechnical evaluations, feasibility studies, design calculations, cost estimates, and final specifications and drawings. Bennett Trenchless provides specialty inspection and construction management, submittal review, and post-construction services. Dr. David Bennett has over 40 years of experience in geotechnical engineering and trenchless technology and has provided claims evaluation and expert witness services on over 35 cases involving trenchless construction, utility damage, injuries and deaths. Bennett Trenchless provides a range of engineering services for contractors, including preparation of pipe stress, pullback, and hydrofracture calculations for HDD submittals, and jacking force calculations for microtunneled and pipe jacked projects. 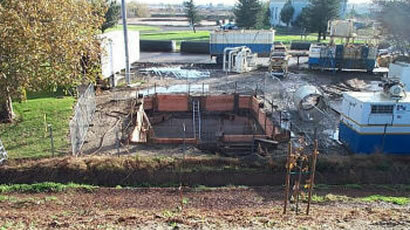 Bennett Trenchless understands the concerns of permitting agencies. We use our extensive experience with various permitting agencies to help owners and contractors alike in securing permits from regulatory agencies for trenchless projects. Bennett Trenchless provides a range of additional trenchless consulting services including third-party design review, constructability analyses, and value engineering. Looking for a quality trenchless engineer for your next project? Bennett Trenchless has designed over 100,000 feet of microtunneling projects ranging from 18” to 96” in diameter underneath rivers, railroads, and highways, in challenging ground conditions, from very soft Bay Mud to full-face rock. We have designed raw water intakes on lakes and sewer ocean outfalls. 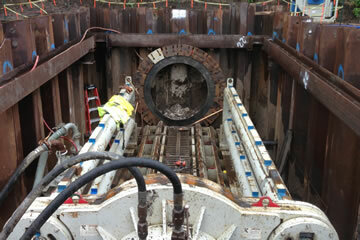 Bennett Trenchless has designed over 100 HDD projects ranging from 4 to 48” OD and over 4,700 feet. We have advanced the state of practice in design and analyses of hydrofracture risk and have built rapport with various permitting agencies by listening to their concerns and analyzing and mitigating risk for HDD installations. Bennett Trenchless also has extensive experience in open-shield pipejacking, auger boring, pilot tube, guided boring, pipe ramming, and tunneling. Our extensive knowledge of all of the trenchless construction methods ensures that our clients will get the most cost-effective solution which minimizes construction risks. 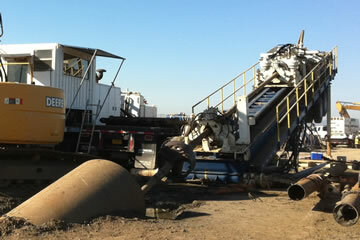 We are the industry leader in trenchless technology. David Bennett pioneered trenchless design principles that have been adopted as industry standard practice. We have continuously improved our risk management, analytical tools, and design practices. We push the industry to improve and follow our lead, through training courses, seminars, and landmark publications. We are the first engineering consulting firm dedicated 100% to trenchless design and construction management. We are always striving for excellence and lead by example. We have designed over 75 microtunneling projects and 100 HDD projects, totaling over 200 miles of pipe installed by trenchless methods. Our experienced staff has provided extensive specialty construction inspection services involving many different trenchless construction methods. Our practical construction experience provides a reality check and improves our designs while keeping us abreast of technological advancements. Bennett Trenchless provides trenchless design and consulting services to a wide array of clients, including municipal, state, and private utility owners throughout the United States and Canada. 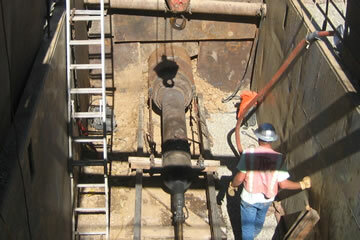 We design trenchless solutions for water, sewer, gas, electric, and telecom services. Bennett Trenchless Engineers is a California certified Emerging Small Business and is recognized nationwide as a leader in trenchless technology. We care about our clients in California and across the United States. Please call or e-mail us if we can assist you on any trenchless design, construction inspection, or construction claims. We are proud of our past, and look forward to serving you in the future.